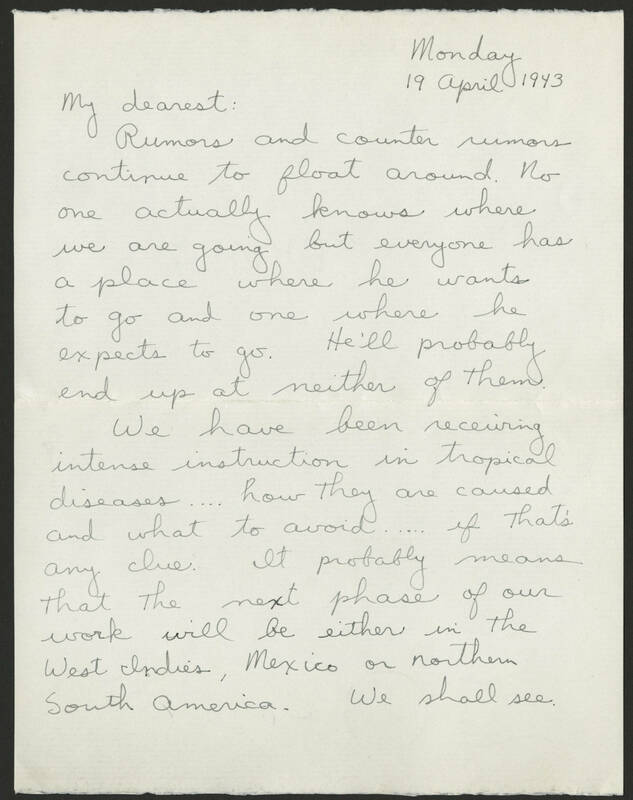 Monday 19 April 1943 My Dearest: Rumors and counter rumors continue to float around. No one actually knows where we are going but everyone has a place where he wants to go and where he expects to go. He'll probably end up at neither of them. We have been receiving intense instruction in tropical diseases.... how they are caused and what to avoid ..... if that's any clue. It probably means that the next phase of our work will be either in the West Indies, Mexico or northern South America. We shall see.